Hydrophonic plants as a way to alleviate world hunger? Is anyone here familiar with growing hydrophonic plants? It's a hydroculture method of growing plants with out using soil (or at least very little soil). Come to think of it, just about anybody could grow sustainable source of food in their own homes... What do you think of it's potential in alleviating world hunger? We can't expect the food prices to be coming down anytime soon.The prices are just soaring.There seems to be no big information on how its all done.I reckon it is now a IP for the country.if they can release it without filing a patent,it can benefit millions of farmers. I've seen and studied (just a little bit) hydroponic farming a few years ago in some parts of rural South Korea. It's a relatively new way to grow crops without soil, but for now it's not without its problems. There are a few crops that grow well when done with this method, and the water consumption might be high at first glance, but as the whole system recycles its water, it'll reduce in the following months. Constant care to temperature and water content is needed when attempting this, not unlike caring for a green house. Not all homes have access to even close to sufficient sunlight to grow anything edible. I know I don't. I don't think this method would help me when my backyard is full shade because it is SO tiny and surrounded by a high fence and I have no front yard, and the sun goes behind the mountain in the afternoon on that side anyway. Everything I have tried has been long and spindly, then just died for lack of light. Hydroponic gardening can be very costly indeed. besides the masses of equipment that is needed, such systems need a great deal of attention. They consume massive amounts of electricity too. Whilst there's no doubt that hydroponics can be beneficial to some sections of society, they aren't always the most cost-effective method of growing. Hydrophonic farming is not something that is easily done it is very costly to start up and requires constant care and maintenance. Actually, hydroponics can be done on a small scale by almost anyone, and it does not have to be costly to set up a small system. There are many good tutorials on youtube that will explain how to do a very small one to how to set up a large enough one to sell plants commercially. It recycles the water, so once you have it set up, it only needs a small pump, like you would use for a goldfish pond, to keep the water circulating. One development , called aquaponics,is also set up using an old above ground swimming pool, or even a large barrel, and then you can raise fish for food at the same time. The fish fertilize the water, the water goes to the plants and is cleaned out and the fresh water goes back to the fish pond again. Last edited by Tumbleweed; 03-21-2015, 07:42 PM. Reason: add link. I think the issue is not so much on whether you use hydrophonic plants or not. I'd lobby for hydrophonic plants for the sake of not conserving water. But world hunger is something that can be addressed with proper supply and demand curves plus a little tweaking and circumventing. If there's not enough supply of hydrophonic plants since there are not enough planters or suppliers, then there wouldn't be enough for everyone's consumption. The goal is to speed up production and recruit more growers and suppliers. I've been researching this for awhile now. Twenty years ago back in high school a we did experiments in hydroponics systems. One thing I noticed that would be a big problem for 3rd world countries and communities with no electricity to power water pumps. So I found this on youtube. 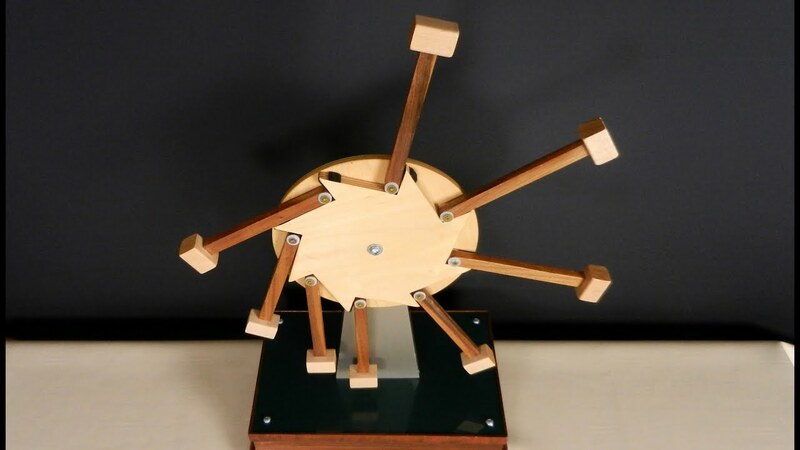 Perpetual motion water pump. If made correctly a 50 gallon drum with a hose attached at the bottom can easily pump water to a vegetable bed and then return the water back into the 50 gallon drum where there would be tilapia. Fish waste would feed the plants and the clean water would return to the drum. You just needc to replenish any water that would be lost to evaporation. Excellent point, Joshposh ! You can also use a battery/solar powered pump. When i lived in a place where i had to pack in my water; I used a small RV pump connected to an old car battery and that would pump the water from the barrels into my trailer. Since only a small pump like this would be needed for a family-sized hydroponics system; the pump could easliy be run by solar power that kept the battery charged. Another feature of growing food hydroponically is that you can take advantage of vertical gardening. People who only have a balcony on their apartment can still grow a helpful amount of food by using the space for vertical gardening and then putting in the tubes to pump the recycled water up to the top level. I have seen pictures of this, and there are kits that you can buy to set the whole thing up. Yes, solar is another way to go about doing so. But for really poor areas that cant afford technology, the water pump is the way to go. Also if that flask project is magnified you can actually turn a big water wheel and have it turn a alternator to supply electricity to your house. It's free energy 24 hours a day. No solar panels or battery needed. It will run day and night. Post 9, 10, and 11, are filled with interesting and good information. Thanks, Tumbleweed and JoshPosh. You have inspired me to look into this further. There are many people living in poverty in my area, and this could prove to be a beneficial resource for them. I can't stand the thought of people going hungry, but I know that many do. This may be a way to help. One easy way of producing very healthy food is by sprouting. All you need are live seeds, water and a jar or container of some kind. If you have a sunny window, even better. My favorite is fenugreek sprouts, which take about 3-4 days to grow. I buy the seeds in bulk from Amazon, and one tablespoon of fenugreek will more than fill a quart jar once it has grown. All you have to do is put the seeds in a jar, cover with a screen, or even cheesecloth, and rinse the seeds in water twice a day. As they grow, I lay the jar on my windowsill so the sunshine can turn the sprouts a lovely green. Sprouts will give you about 30 times the nourishment of just eating the seeds, and there are many different kinds of seeds that can easily be sprouted. The seeds are easy to store, and require no refrigeration, so they are a great way of growing nutritious food that just about anyone can easily do. I've been looking into these options for a long time now. I do plan to live off the grid and to be ready for any type of disaster. In other parts of this forum I did post pictures and plans for a gasifier that will produce fuel for gas consuming engine, motor, or generator. It is time old technology that we are not using for some stupid reason. I saw an indoor hydrophonic farm where not only they were able to raise veggies but also some edible fish. The tilapia or the catfish gives nutrition the plants needed to the water where they were planted. The fishes keeps the water nutrient for the plants while the plants keeps the water clean for the fish. It is a very practical way for farming to get vegetable and meat at the same time.